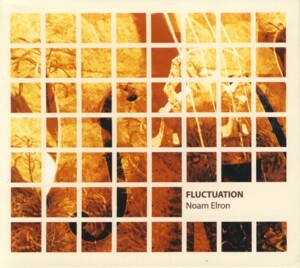 This is the debut album by Israeli Jazz bassist / composer Noam ElronFind albums by this artist recorded in a quartet setting with flautist Hadar NoibergFind albums by this artist, guitarist Dima GorelikFind albums by this artist and drummer Noam LandsmanFind albums by this artist. Yohai CohenFind albums by this artist plays the daf (a Middle-Eastern drum) on a couple of tracks. The album presents eight pieces, six of which are originals by Elron, one is co-composed by Elron and Gorelik and one is an Astor PiazzollaFind albums by this artist composition. As most of Jazz albums created in Israel, also this one presents a strong World Music influence, mostly of Spanish but also of Middle Eastern origins. The intimate atmosphere and almost completely acoustic sound dominates the proceedings, which enables the listener to hear every singular sound made by the musicians. Noiberg and Gorelik, who are the main soloists of course, perform passionately and elegantly both on the calm and the up tempo numbers, with the rhythm section providing the solid backing, which drives the music forward. The most fascinating aspect of this album is its polyrhythmic nature, which perhaps requires a more advanced listener to comprehend the complexity, but is definitely fascinating. In retrospect this is one more of the many excellent Israeli Jazz albums that somehow managed to be passed by almost unnoticed, which of course is a great pity. Sadly the miniscule local Jazz scene is simply overwhelmed with local talent, absolutely unable to cope with its richness and versatility. With some luck this album might have been very well received on the European market at the time, but alas that never happened. Since music of such quality does not expire with time, I urge all the listeners who like challenging original music, which is completely non-conservative, to seek a copy of this little gem ASAP. These days Elron is a member of the superb ensemble SavannahFind albums by this artist And The Stringz, which is also a unique piece of Israeli music worth discovering. Perhaps it´s about time to consider another solo effort to follow this one?